Kids love the water park! Choose from the best selection of homes to rent at the ChampionsGate Resort. This ChampionsGate Resort overview gives you information on how to find the perfect vacation rental for your next visit to Orlando. 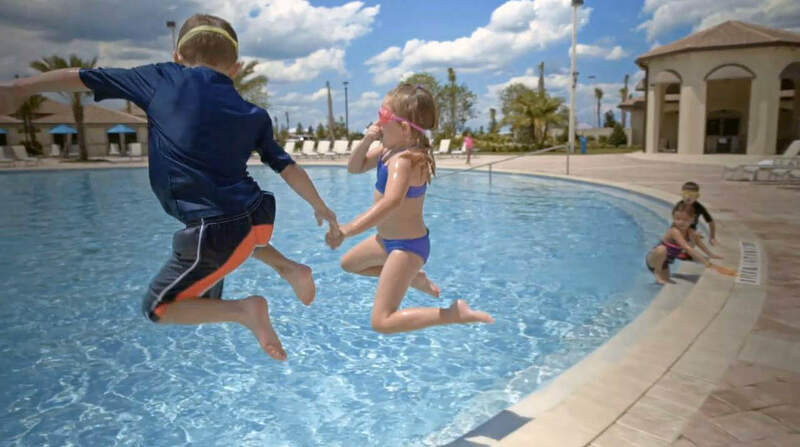 Each of the homes on this website has been carefully selected to offer your family the perfect place to stay on your next vacation to Orlando. Each vacation home has been professionally designed. Each has elegant furnished interiors to make your stay a wonderful experience. 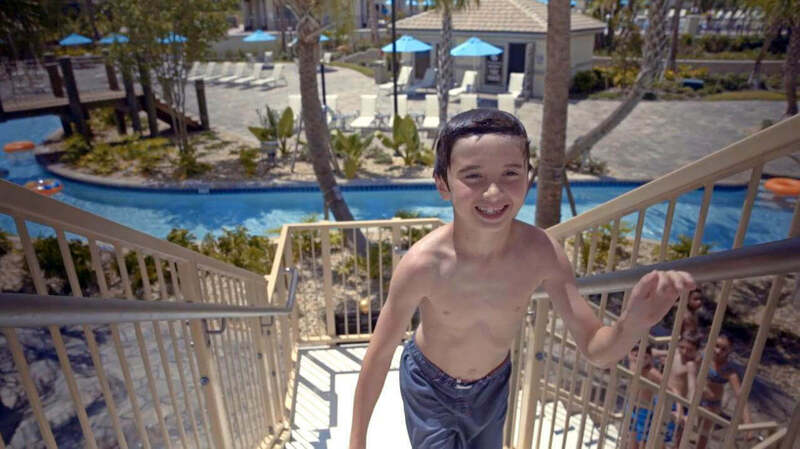 Every home we offer on ChampionsGate has its own private swimming pool to enjoy. Everything we can think of is provided, from a teaspoon to a TV – all you need bring is your suitcase. Why stay in a hotel, when you can get your own private home to stay in for a fraction of the cost? The Oasis Club at ChampionsGate “sets the standard” for other resorts, with just about every amenity provided that you could want on your Orlando vacation. Whether you want to watch a movie in the family cinema, play volleyball under the hot Florida sunshine, take in a round of golf at the 18-hole course, splash about in the clubhouse water park or sit and enjoy a meal together in the Oasis Grille restaurant – it’s here for you! ChampionsGate Resort is ideally located. It offers easy access to the theme parks of Orlando. Walt Disney World theme parks are less than 10 miles from your front door when you stay. You can see Mickey Mouse and all his friends every day of your stay if you wish. All of the other theme parks, like Universal Studios and SeaWorld are easy to reach. 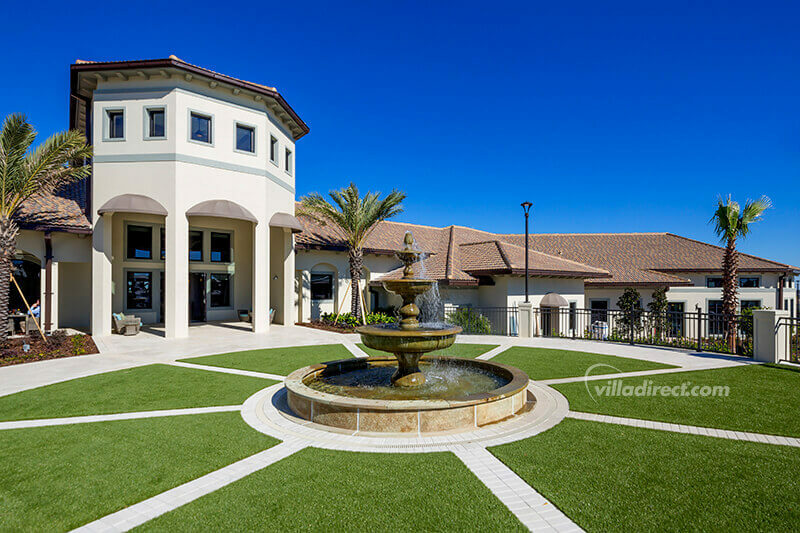 Your family can enjoy the vacation of a life-time when you stay at a VillaDirect vacation home in ChampionsGate. 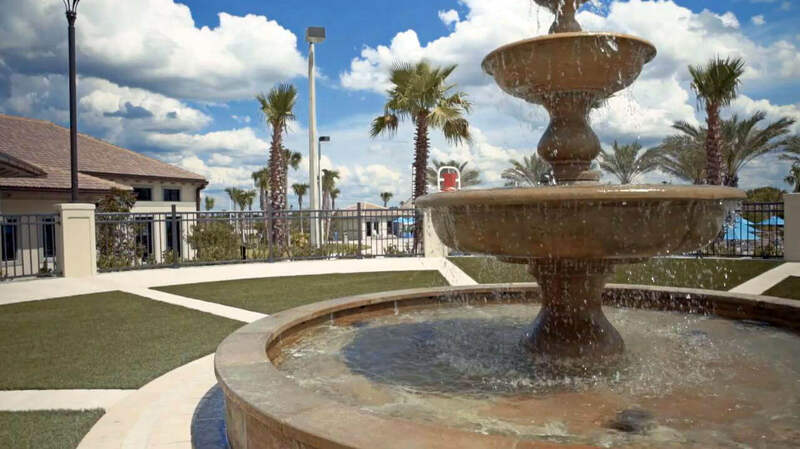 This gated resort is located in the Orange Groves of Davenport, Orlando, and provides easy access to all of the attractions nearby. Guests also enjoy FREE use of the fabulous amenities and services offered at the ChampionsGate Oasis clubhouse. These include a golf course (charges apply), a movie theater, a creche, a children’s play/craft room, a water park, swimming pool, private cabanas, a restaurant, bar and much more.